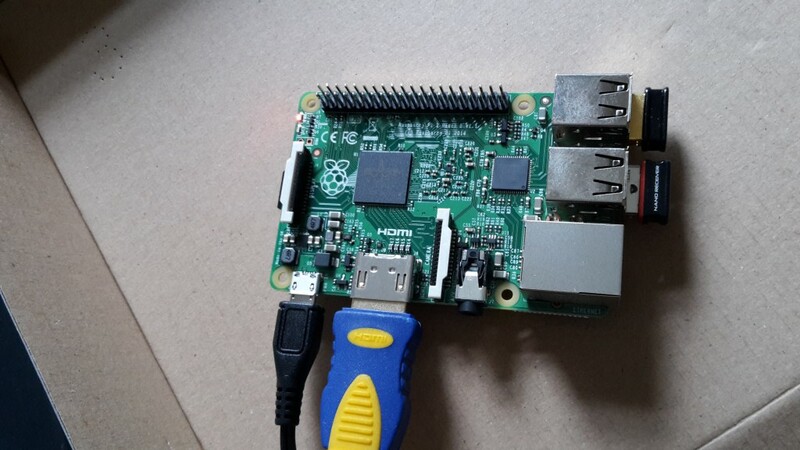 Raspberry Pi is a series of small, cheap computers that can be used for a lot of things. Including different Internet of Things related uses. This site is devoted to sharing and publishing informations for people working with this. The site is started in connection with a group of KEA students during their internship at the company InfoShare, but other interested developers or people with ideas for IoT uses are welcome to participate. You may contact the admin at admin @ rpiot.dk if you would like to participate in the sharing of information. Or you can choose to subscribe to the weekly newsletter with a summary of new postings. The Raspberry Pi is a fully operational computer, but you still need a few things to use it: On this picture, from left to right: You can just see the edge of the 8 GB microSD card with Raspbian mounted underneath, then a “standard” microUSB powersupply (capable of 700 mA which is more than most Android Phone adapters), a HDMI connection to a TV og VDU, an EdiMax WiFI nano receiver (automatically recognized by Raspbian) and a USB keyboard/mouse transmitter.